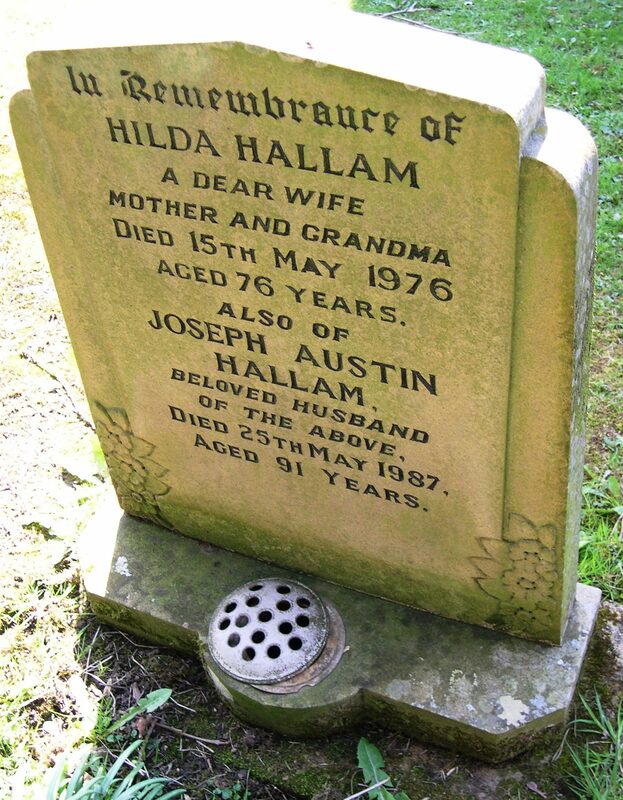 (William Austin Hallam is in fact Joseph Austin Hallam). 66992 Pte. D L I. 22397 L/Cpl 39 Labour Coy. Served at Ypres. D L I. Gassed and suffered from ‘trench-foot’, which affected him all his life. b 1896 Nettle Row, Hathersage, son of William (a groom/servant) and Millicent Hallam. 1911C living at The Dale, Hathersage, a railway clerk. He also worked for Redfearn, the ‘Bottom Butchers’ and later for the Derwent Water Board. Married Hilda Elliott (a Methodist) from Bradwell (b c 1900). Their only daughter was Freda and family relates that Joseph didn’t include her into the Catholic faith when she was born. When the Priest said he would in consequence ‘go to hell’ Joseph was said to have told him ‘I have already been to HELL and back!’. Joseph lived also at a cottage up Treacle Lane, behind Woodbine Cottage, and at Gothic Row at various times. Joseph was uncle to Jean Hulley, late of The Dale, daughter of his sister Lucy. His other sister Mary married a Wyatt. Both sisters had been in service at Hathersage Hall, they recalled Col Shuttleworth as always being kind to his staff.